When you have a website, you have something to offer. This can be information, a service or a product. What matters, however, is that you want people to come to your website and read the information, access the service or purchase the product. Driving traffic, however, is about more than just building a website. Your website can be the most beautiful site to look at, with the most wonderful information, but unless you know how to drive traffic to it, you will miss out on the bottom line. You won’t get that audience, you won’t get the customers, and you won’t go viral. 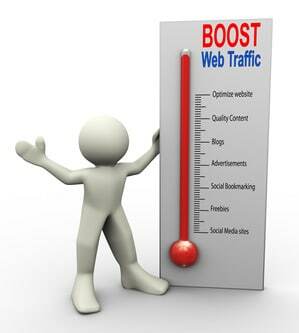 Learning how to drive traffic to your website is as important – if not more so – as learning how to build a site. First and foremost, you have to create an SEO strategy that is designed specifically to help you get traffic to your website. This means you have to work on how to build organic traffic, and how to build your page rankings on the search engines. Of course, this is often easier said than done, but that is where the strategy comes in. Yes, it is incredibly time consuming to get this done, but it is time incredibly well spent. Best of all, only the first time you work on the strategy will this be a problem. Afterwards, new strategies or upgraded strategies will be like a walk in the park. Three main things deserve your focus. Firstly, there is interesting content. Secondly, you have to consider social media. Last but not least, you have to start building relationships with others. There is a lot more to it, but if you get these three things right, you will really notice a difference in your website and traffic. First of all, you have to make sure that your content is interesting and valuable. It has to be relevant and you have to write it in such a way that others want to share it. The relevance of your content has to be for a wide audience, not just as few people. The idea is that you’re able to reach so many people, that if even a few of these share your content, you will still be going viral. Your content does have to look at keywords, but remember that Google no longer focuses as strongly on these. They are, however, very quick to penalize if you create texts that are too keyword rich. Hence, make sure you think about not just what your actual content is, but also how your content is constructed. Next, you have to consider social media. This is a fantastic tool to make sure that you make a real name for yourself. It is an opportunity to get your product, service or information out there. Use all the social media opportunities that are available to you, including Facebook, Twitter, RSS feeds, blogs and so on. It is generally possible to create a single entry and share it across all types of social media, which means you don’t have to do the same job again and again. One of the biggest benefits of social media is that it allows you to get other people to share your information. It is, essentially, a type of free advertising. This is why you also have to make sure it is very easy for people to share any information or content you have on the website itself. Make sure you have share buttons, such as Facebook likes and Twitter and Google+ shares easily visible next to each and every post on your site. Last but not least, you have to work on building relationships with other people. These are known as symbiotic relationships, because they are often impersonal. What you need to do is start following people in an industry that your audience visits as well. This doesn’t necessarily have to be competition. For instance, if you sell surfboards, you could look for a website dedicated to Hawaii beaches. As you start to share their content, or to comment on their posts, you are creating advertisements for them. They will soon start to notice this and, hopefully, do the same for you. Clearly, building a website is not enough. It is about getting the site out there, pushing for people to find you and get interested in what you have to offer. There are various tactics to achieve this, but the three above, and especially SEO are the most important ones of all.